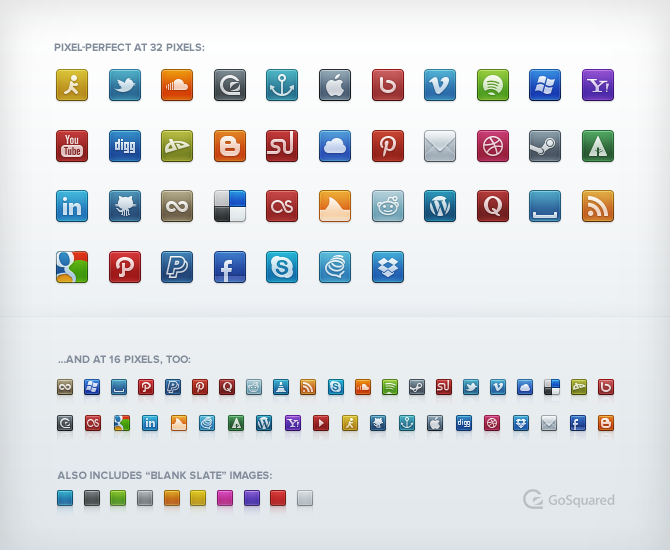 If you’ve ever needed social network icons (which, admit it, you have), then this is the set for you. With over 100 icons provided at 16px and 32px in both PNG and PSD with “blank slate” images to make your own icons, this is the perfect free icon set. Sixty-four vector arrow icons, all packaged up in one neat, tidy Adobe Illustrator file. What more could you ask for?